Were any of you lucky enough to receive a beautiful sparkler over the holidays? Congratulations to any newly engaged brides who have found their way over to the brand new Bella Bloom Floral Designs website! 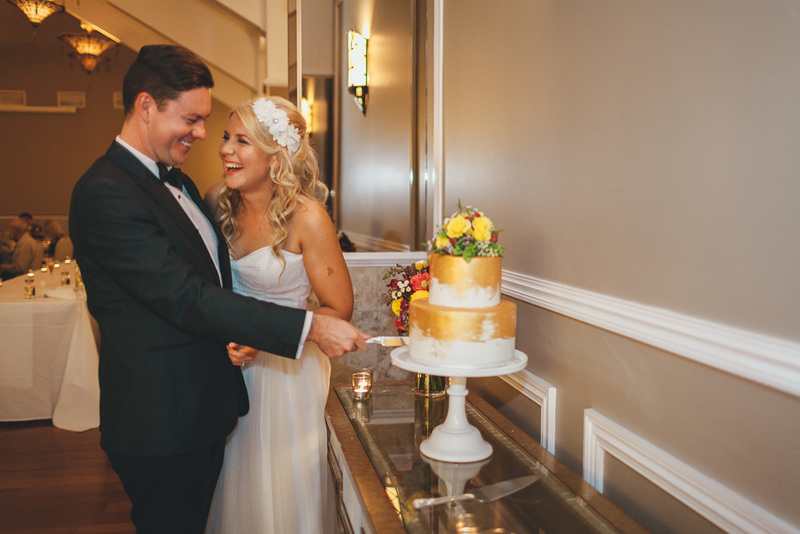 Since we’re celebrating a brand new year, and a new website, I thought I would share some of my favourite sparkly New Year’s weddings to give you a little inspiration when planning your own big bash. You don’t have to actually be getting married on December 31st to be inspired by these brides. 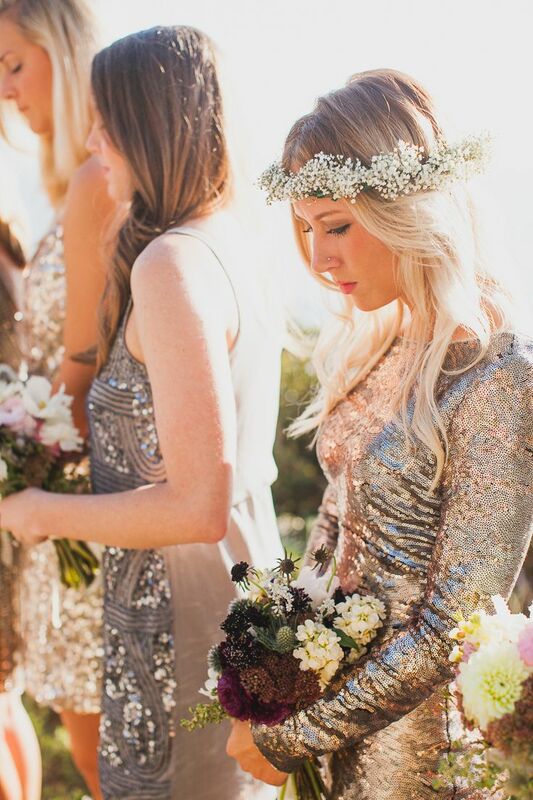 Glamour, sequins and a whole lot of Champagne never go out of style! Are you planning a New Year’s Eve wedding, or an over-the-top glam affair? I’d love to hear your plans for your wedding flowers! Email me here. 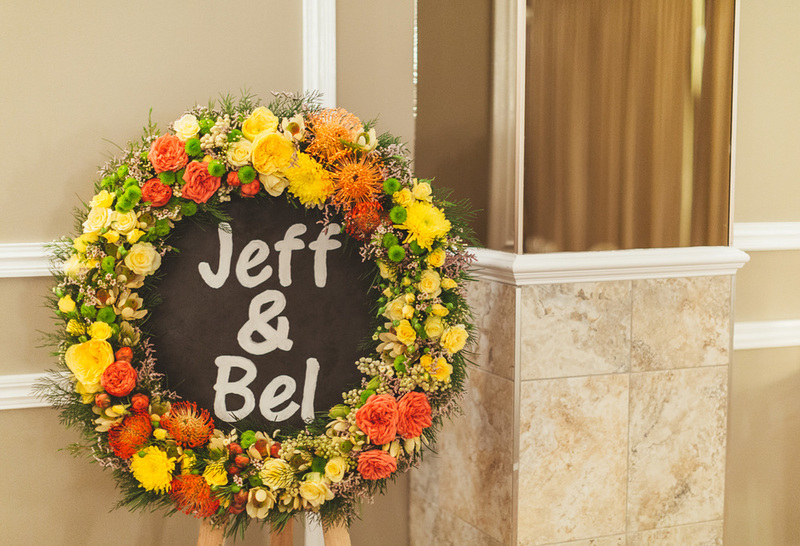 You’ve got so much to plan already… Having to manage multiple vendors JUST when it comes to flowers can be a nightmare! Not only does working with one florist mean one email address, one friendly face and one invoice, it also means nothing gets missed between managing multiple vendors. You never have to wake up in a cold sweat wondering who’s doing what. Working with one florist means your colour palette, flower selection, floral style and quality will remain consistent throughout all of your wedding flowers. By choosing to work with someone you love across all of your floral elements, you know that the look you’re going for will be carried through each component of your wedding day. Working with one florist means you only have to pay one set of delivery fees. The main reason to work with one florist is that a smart flower shoper can use full bunches of flowers across the design of each element. For example a hand tied bridal bouquet ‘’recipe’’ might require only two soft pink garden roses, along with other flowers and foliage to create lots of texture and interest. A florist will have to purchase a whole bunch of roses from their wholesaler, as this is how they are sold – you can’t buy just two roses on their own. As there are ten roses in a bunch and only two are required to be used in the bouquet, your florist will be left with eight roses. If your florist doesn’t get to use these roses that they have ordered in especially for your wedding, then they may get wasted and the bride would be charged for this. BUT, if you work with one florist, and get them to create your table centre pieces and ceremony flowers, those remaining eight roses can be used, making your designs more economical. Music to a bride’s ears! 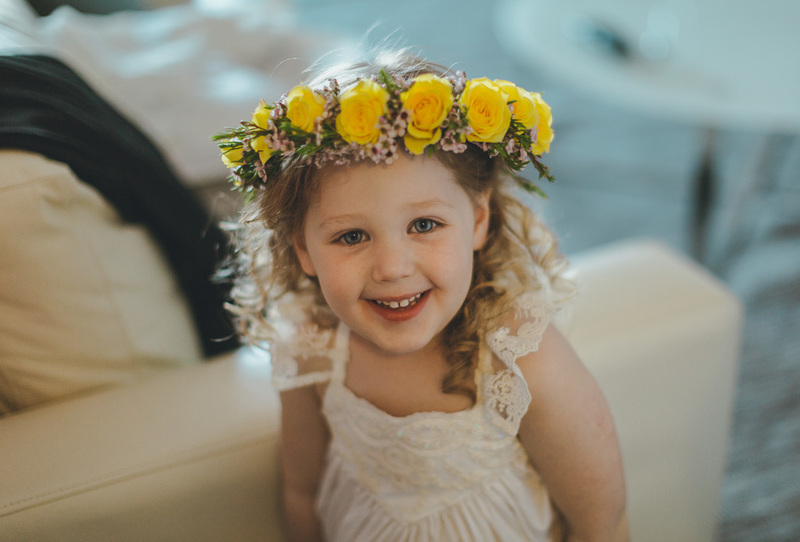 Below is an example of a stunning wedding where Bella Bloom Floral Designs created everything from the flower girl's crown, to bridesmaids bouquets, to the ceremony wreath, guest table arrangements and the cake topper! 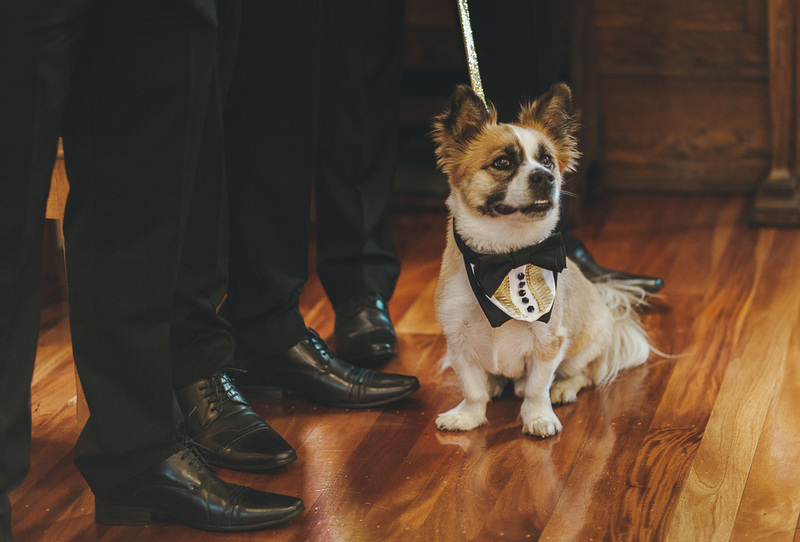 Bel and Jeff and their little dog Chase held their beautiful wedding held at Mirra in Fortitude Valley, and the images were taken by Stories by Ash. Want to chat about working with me to create your wedding floral styling? Email me here. Work with your florist to choose flowers that will last all day. This is impacted by the time of year, where your wedding is being held (e.g. if your wedding is on the beach and your flowers will be out in the hot sun), your wedding style, and even the time of day you’re tying the knot. Your florist is your best resource when choosing the right flowers, so give them as much information as you can so that they can create something that will work for your requirements. Try to avoid imported flowers, and go for hardier arrangements with lots of greenery in the summer months, or why not try King Proteas or natives in your bouquet? Different, textured, and stunning! Don’t be alarmed if your Brisbane florist delivers your flowers, and they don’t yet look like they are in full bloom. A good florist will know, based on what time your ceremony is, at what stage of bloom your flowers should be so that they are at their best. This is why it’s so important to choose a good florist, not just one with the cheapest package – don’t forget that your flowers will be in every photo! It is definitely worth paying a small delivery fee to get your bouquets and buttonholes delivered on the day close to the ceremony time. While you may be tempted to collect your flowers the night before or first thing in the morning, leaving your flowers under your florist’s care for as long as possible, stored in their cooler, will make a big difference to their lasting power on the day. Leave buttonholes and corsages in the fridge until just before you leave for the ceremony. A dampened paper towel carefully placed over the top of them will help to keep them in perfect condition, and a good florist will use a special spray to seal in their moisture. While your Brisbane florist should make sure to deliver your reception flowers with water in the vases, charge your venue manager, a friend or even a bridesmaid with doing a quick check in between the ceremony and your reception. 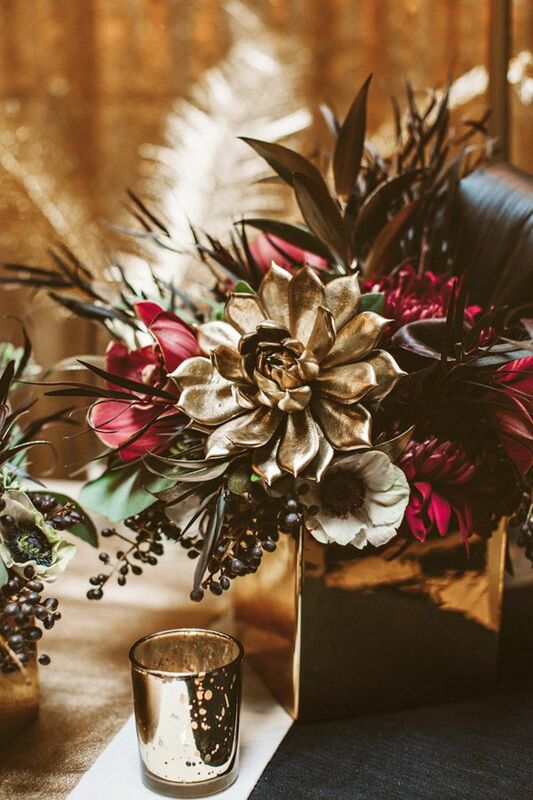 Vases should have water in them, and any centrepieces should be kept out of full sun until the last minute, if possible! Just because we live in a place where the temperature regularly creeps above 30 degrees on December wedding days, doesn’t mean brides can’t have gorgeous flowers on their wedding day! If you’d like to chat about your summer wedding flowers, don’t hesitate to get in touch! 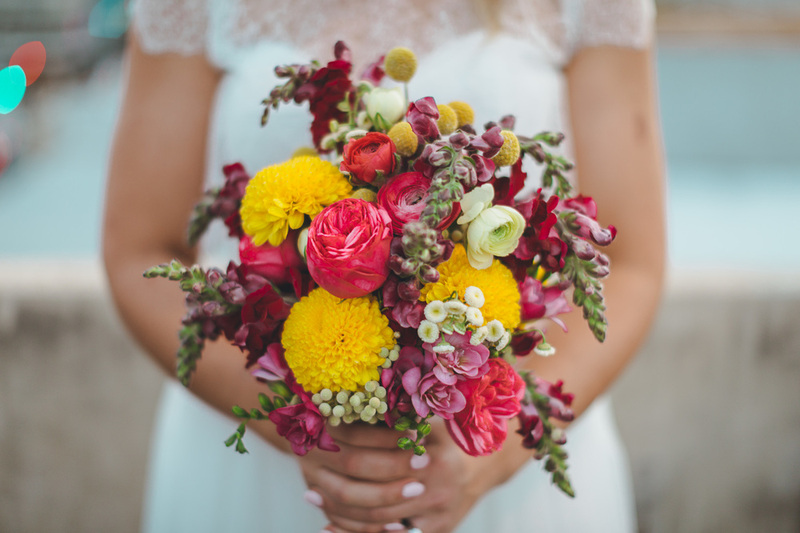 Summer has well and truly hit here in beautiful Queensland, which means there’s a whole new season of beautiful blooms available for summer brides! The best thing about summer fleurs is that there are so many colours and textures available, perfect for any wedding theme. I’m always inspired by how much prettiness there is in my own garden, and at the flower markets at this time of year! King Proteas Proteas are so different, and hold well in extremely hot temperatures – perfect for Queensland summer! Dahlias With their almost architectural petals, dahlias add a perfect amount of texture to any bouquet. Garden Roses Garden roses come in lots of pretty colours, and I’d have to say that David Austin ‘’Juliet’’ are my absolute favourite! Lisianthus The perfect compliment to roses, these soft blooms look stunning when paired with David Austins, peonies, and a smattering of greenery. 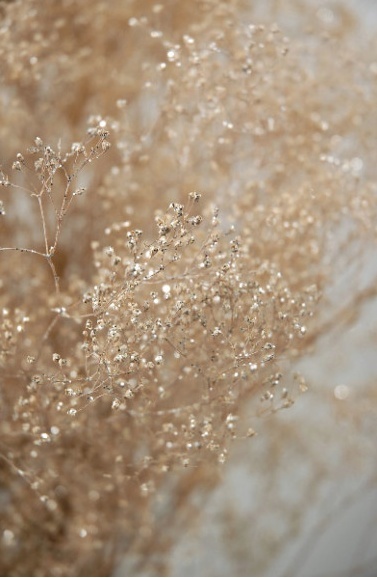 Their buds can also be incorporated into the bouquet. So much texture in one little bloom! I love these grouped in a bunch, with tonnes of greenery to make them really stand out. And if you’re a peony girl, they are generally still available in early December! You might not be aware, but when you choose your wedding date, your favourite flowers might not be available. 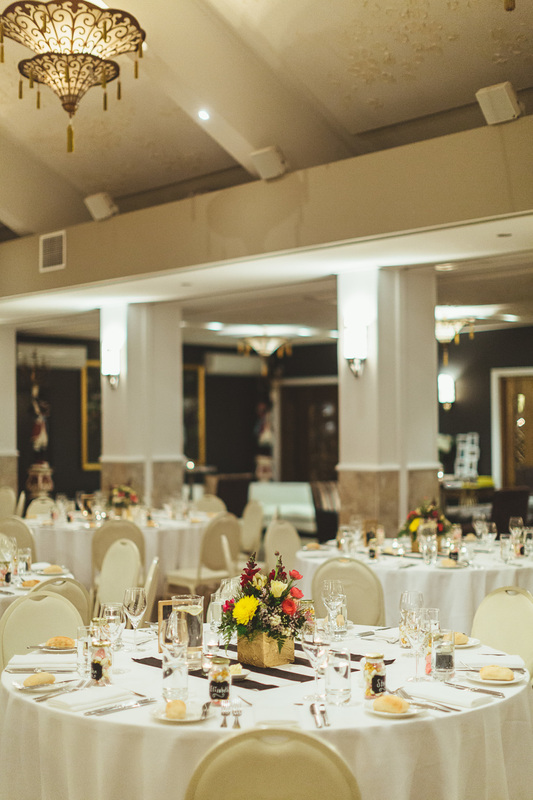 If you’re certain you want a certain bloom to feature, it’s best to take this into consideration when locking in your big day! If you need any help with wedding flower recommendations for certain times of year, don’t hesitate to get in touch with me. Anyone with an instagram account will no doubt have seen bunches of these pretty petals covering their feeds – it’s finally peony season! Peonies have been one of the most popular wedding flowers in Brisbane for the last few years, with brides actually planning their weddings around Peony season, which runs for about 4-5 weeks from the beginning of November. Peonies aren’t just pretty, they are also considered a very lucky flower! They are said to symbolise good fortune and a happy marriage, and these soft, pretty blooms are perfect for every style of wedding, from country garden parties to glamorous urban style affairs. Today, I thought I would share a little peony inspiration! Peonies come in a variety of feminine colours, but coral charm peonies are my absolute favourite! If you’d like to talk about adding peonies to your wedding bouquet, I’d love to hear from you! Email me here.